addition to medical treatment, the service provides acute inpatient dialysis and renal transplantation. Renal Transplantation. 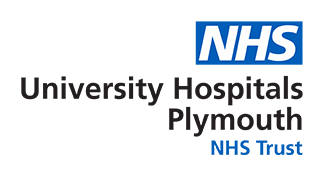 The South West Transplant Centre (SWTC) at Derriford Hospital provides an assessment and treatment service for donors and recipients of kidneys. SWTC also has a proactive live donor and altruistic donor programme. This is supported by the provision of consultant and nurse led clinics. The service is provided for adults and to children over 16 years of age as they transition from paediatric services into adult care. Inpatient elective and emergency care for kidney disease. Outpatient follow up for the long term condition of Chronic Kidney disease. Education and training for patients with renal disease. Continuous Ambulatory Peritoneal Dialysis (CAPD). CAPD is provided on an outpatient basis for the long term condition management of end stage renal failure. Assisted Peritoneal Dialysis (APD) and Automated Assisted Peritoneal Dialysis (AAPD) are other available options which are undertaken in the patients’ own home either by patients or with assistance from specialist nurses. Peripheral clinics are held at Totnes, Kingsbridge, Holsworthy, Launceston and Liskeard.